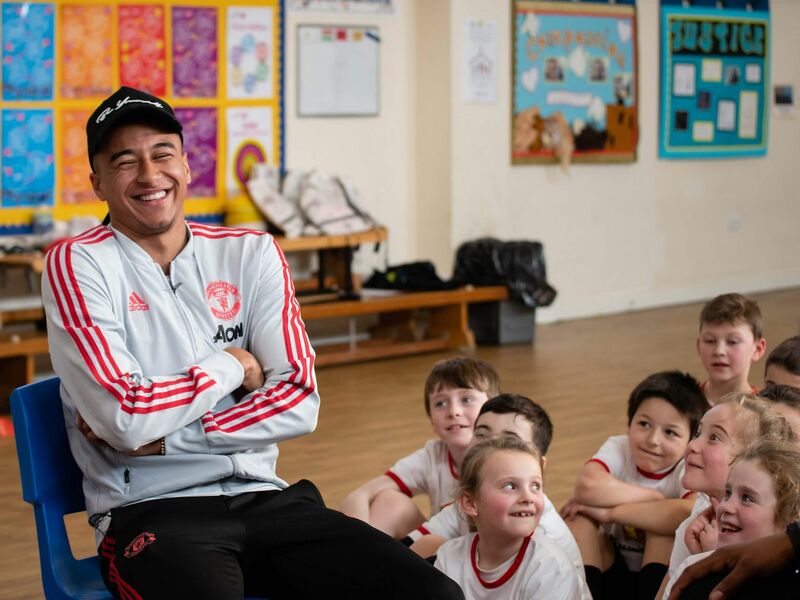 Manchester United winger, Jesse Lingard yesterday paid a surprise visit to kids in St. Margaret Primary School – his alma mater at Warrington, United Kingdom. The pupils who weren’t expecting the 26-year-old beamed with smiles and laughter as Lingard interacted with them. The kids asked several questions and got to play the old classic benchball with United’s attacking midfielder handling the refereeing gig. Lingard picked a hamstring injury in United’s first leg 0-2 defeat to Juventus in the UEFA Champions League and has been preferred to return against Watford on March 30 in the English Premier League.